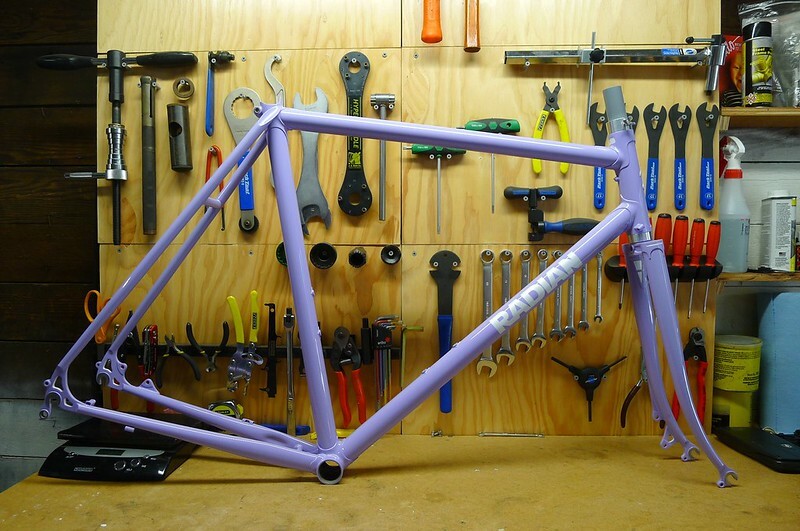 I'd been riding this frameset around sans paint for a while. 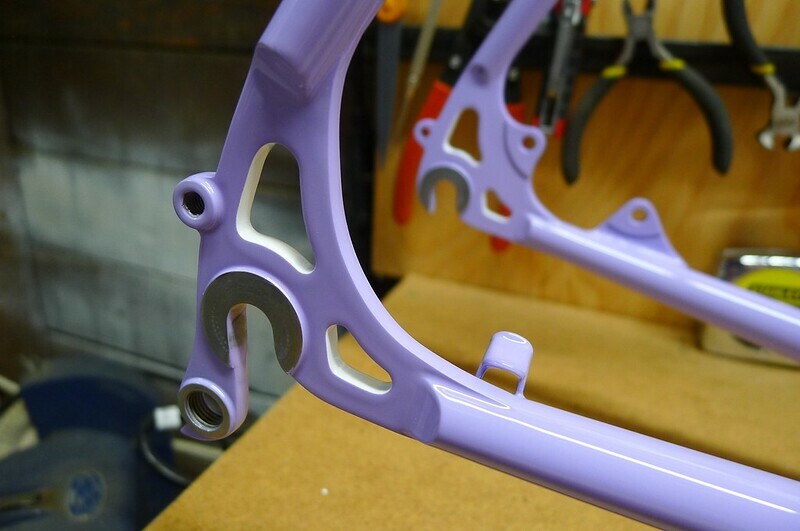 It's the first disc brake frameset that I've made. I designed and cut out the dropouts/disc tabs from 4130 sheet by hand, so I wanted to test it thoroughly before throwing down for paint. Thanks much to Colorworks for the sweet paint job! Comments and critiques are always welcomed. Thanks for looking! what's the process? when you say cut by hand, you mean cut with what tool? what's the rest of the operation? 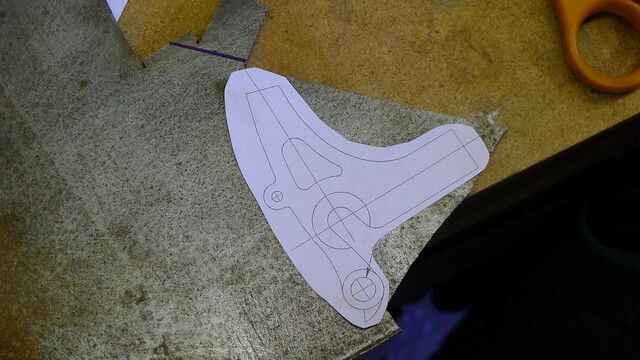 milling machine to take down the surface area that is not raised? very PRO looking work, for sure. Beautiful craftsmanship. You will always have to ride this bike on the 14th of March each year, right? That looks awesome. 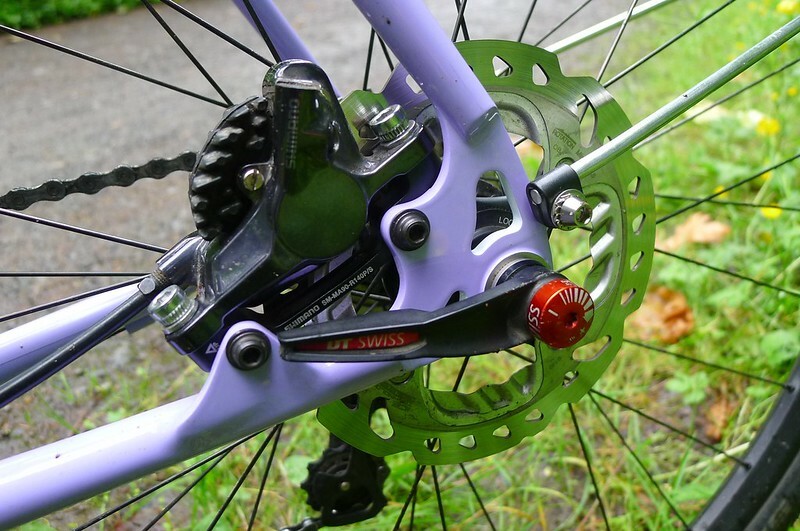 Great blend of traditional lugs and lines with modern discs. 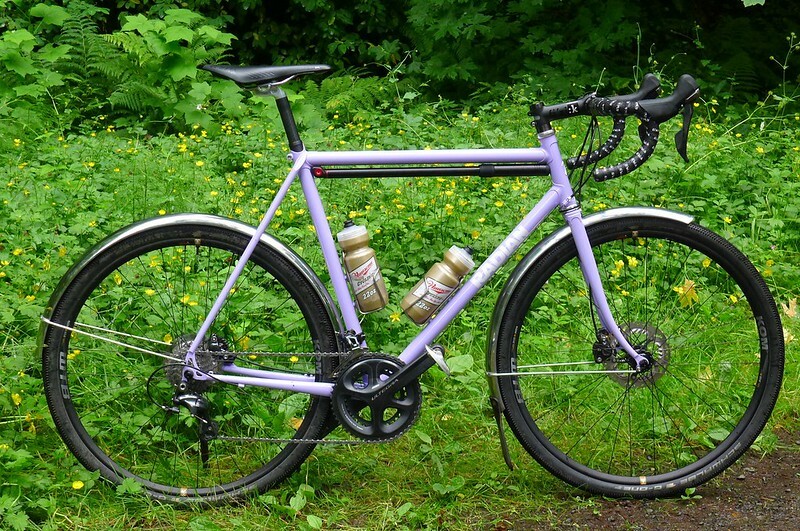 I really like the look of this bicycle. color is real nice too. what fenders are those? Berthoud? 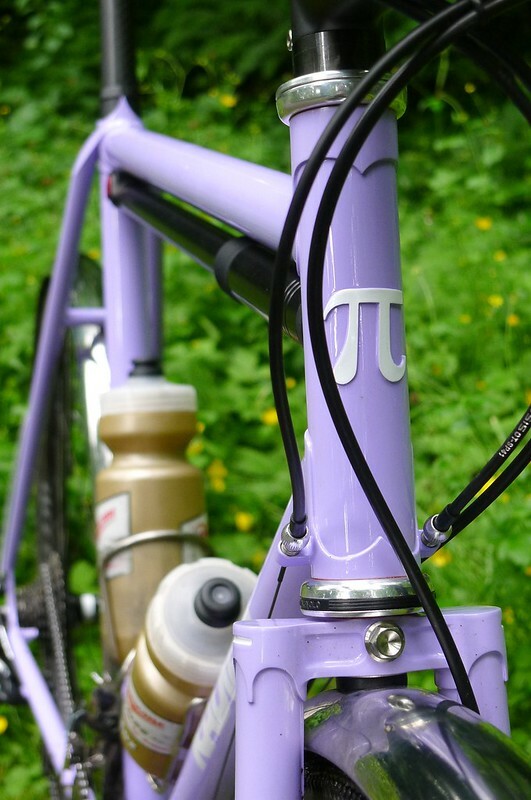 Perfect, I really like this bicycle! Well done! really nice! those disc tabs look like a nice design. 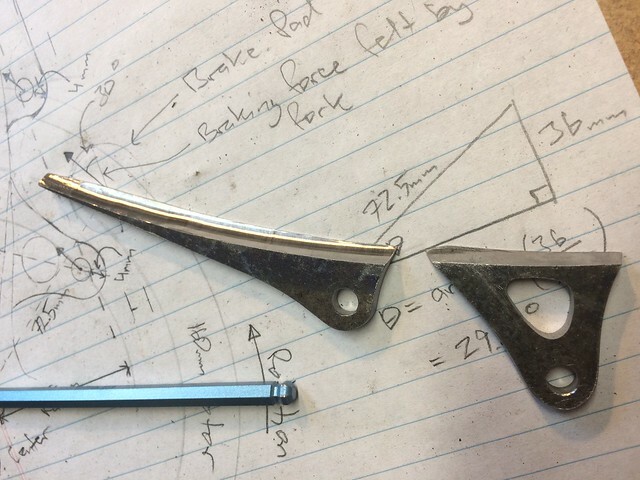 Which fork blade and chainstay did you use for the braking side? -Drew up my design in TurboCAD and printed it out on label paper. 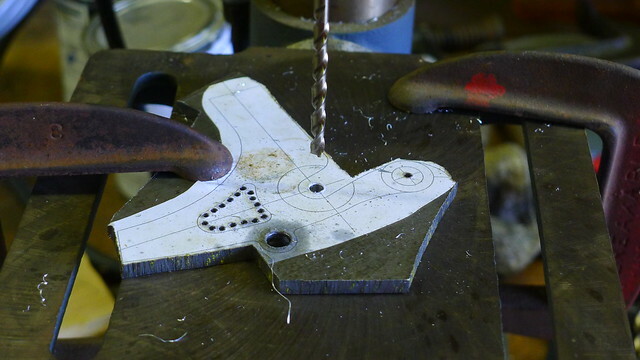 -Stuck the design on the 4130 sheet and went to town with the drill press, jewelers saw, hacksaw, and files. 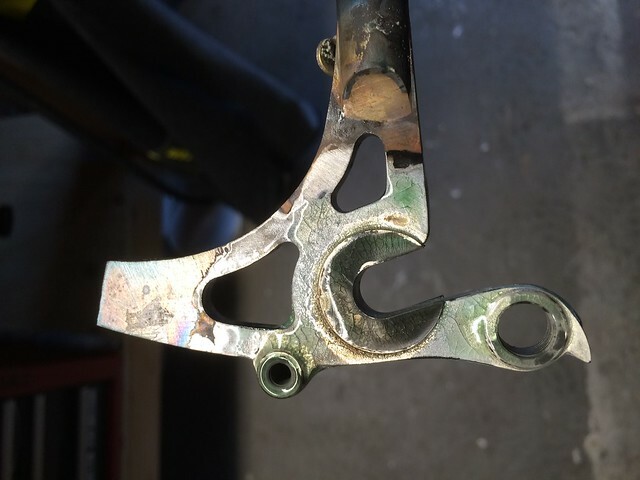 -The dropout faces, disc mount contact points and derailleur hanger threads are actually all braze in stainless. So no milling there. Below are some pics of the process. 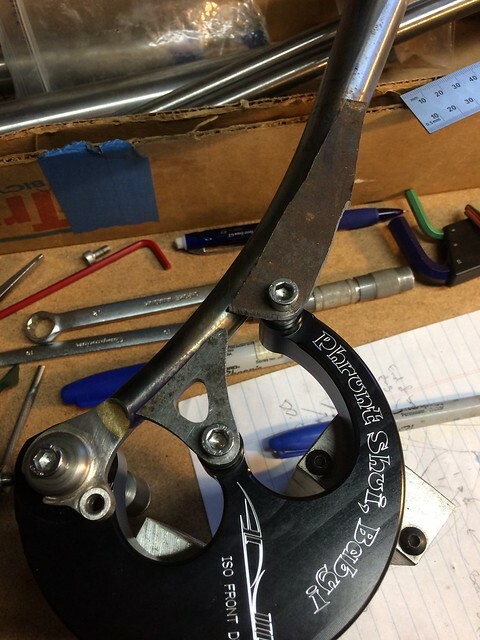 The front dropouts and disc tab were done is a similar manner though weren't drawn up in TurboCAD. If you really want to kill some time there is a whole album of process pics on my Flickr. The dropouts and disc tabs were a lot of fun but took a TON of time. Don't think I am going to do that again anytime soon. These guys in particular were a very big pain, with all the compound curves going on. LOTS of back and forth between checking fit and grinding/shaping. Thanks! And, yep...I don't think I have a choice! Thanks much and yes to both questions. 650b made working in "lug jail" easier and kept the rotational weight down a bit given the bigger tires. Thanks, the fork is Richard Sachs UOS fork kit. The blades are larger than traditional steel fork blades. I bought two kits a while ago and the blades in one were noticeably thicker walled than the other so I used the thicker blades too. 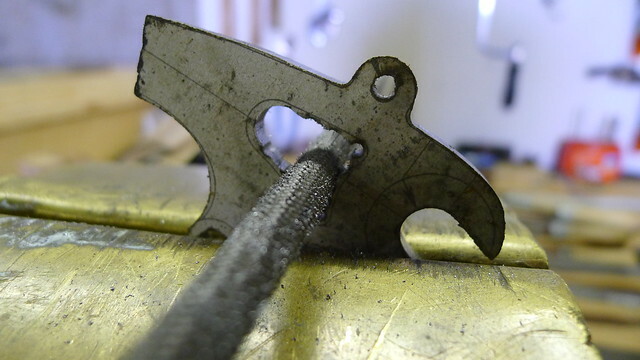 I'd be hesitant to use the thinner blades, just a gut feeling. 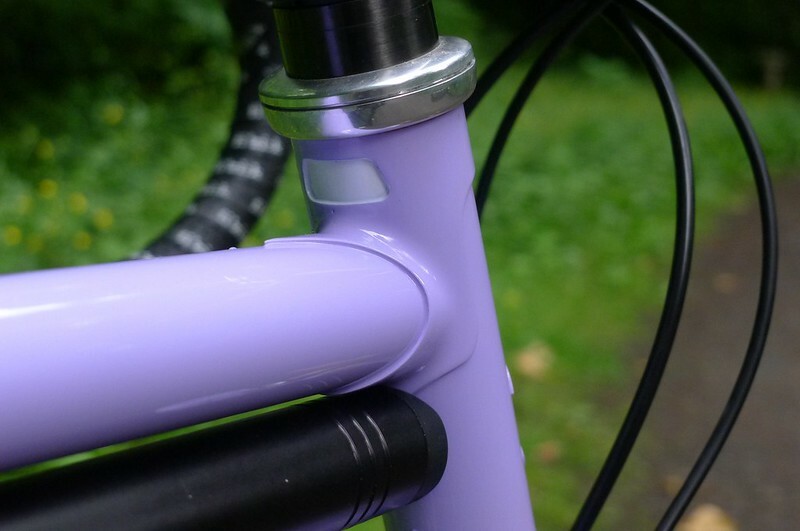 The chainstay is a standard Columbus Zona. 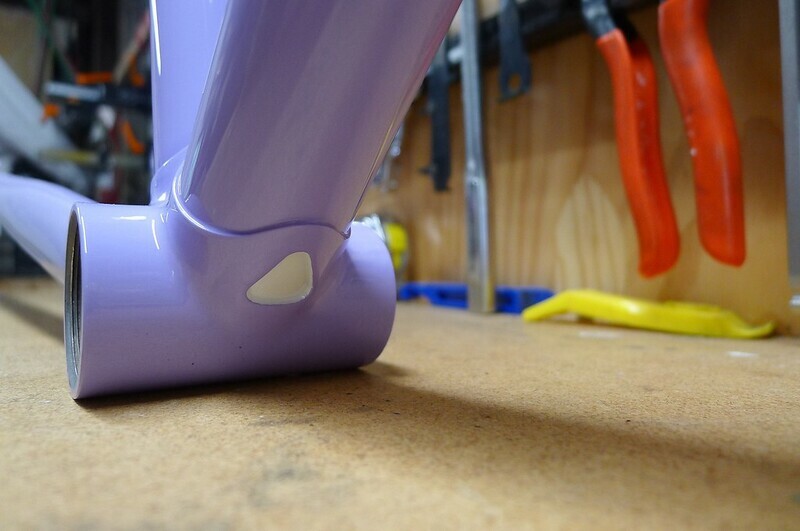 The chainstay end of the disc tab is still in a beefy section of the tube and is also pretty tangent to the cross section of the tube. 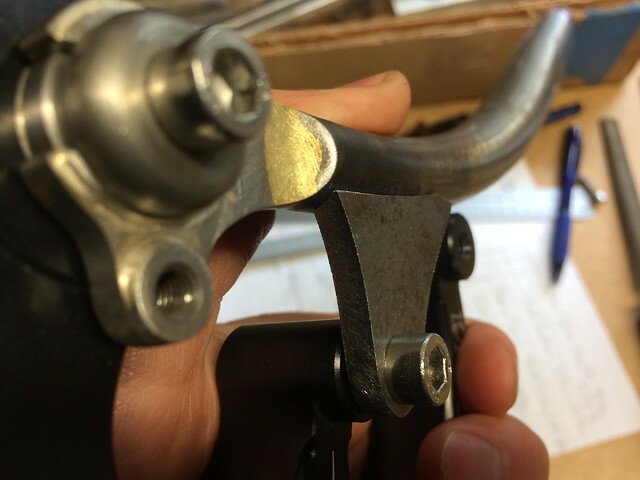 This should result in more torsion than bending on the CS and tubes are great at resisting torsion. 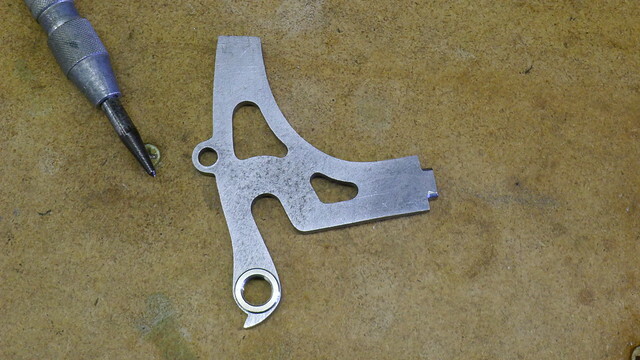 Some of the load gets spread to the seatstay too, so I didn't feel the need to go with an extra beefy chainstay. 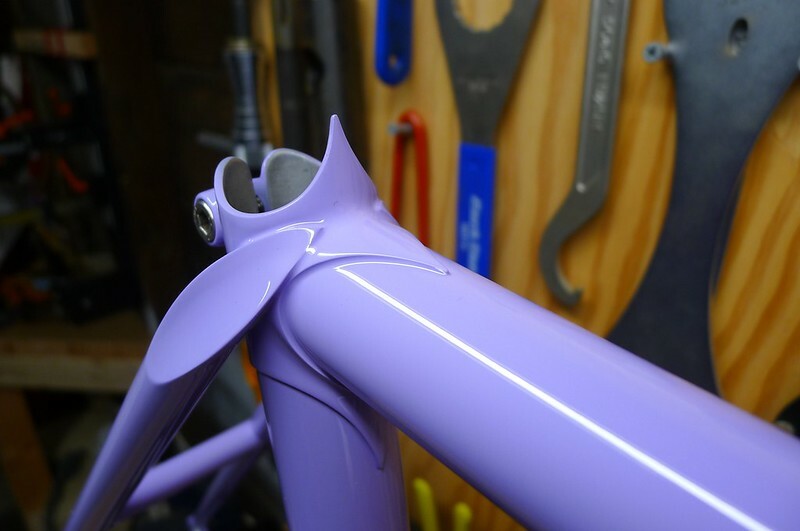 With all that said though this was an experimental frameset that I built for myself. always thought it was a cool name.